An exceptionally beautiful inland hotel, spa, restaurant and event space, Atzaró is the ultimate in rural, zen luxury. The spectacular Atzaró retreat is a jewel in the centre of the island, secluded from practically everything and generating its own unique atmosphere. 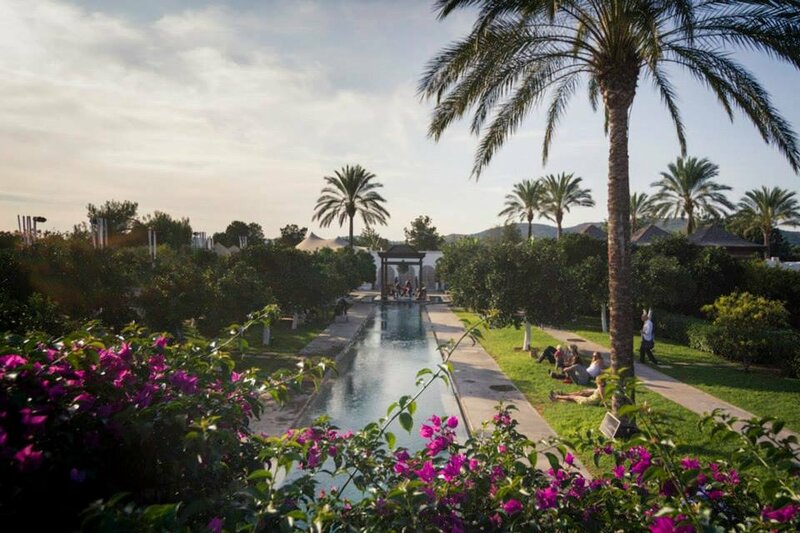 Nestled amidst a flourishing orange grove, Atzaró is a centuries-old family property which has now blossomed into a successful venue offering accommodation, food, spa treatments, events and exhibitions. Its grounds are vast and luscious, with garden areas to explore with a pool, countless day beds, orange and olive trees, sculptures, with a balanese-inspired style combined with the obvious mediterranean influences. It's an incredible place to stay, but if you aren't able to call Atzaró home for your trip its bar, restaurant and garden area are open to be enjoyed by all. Atzaró also hosts cultural events throughout summer and winter, drawing islanders and tourists inland for fashion shows, art exhibitions, live music, DJs, after-parties, yoga sessions and spiritual heebie jeebie, for the hippie in you. Atzaró manages to maintain an extremely high standard of luxury and indulgence, whilst still being an accessible-to-all cultural hub that is essentially just a really cool place to spend time. If you can find it!